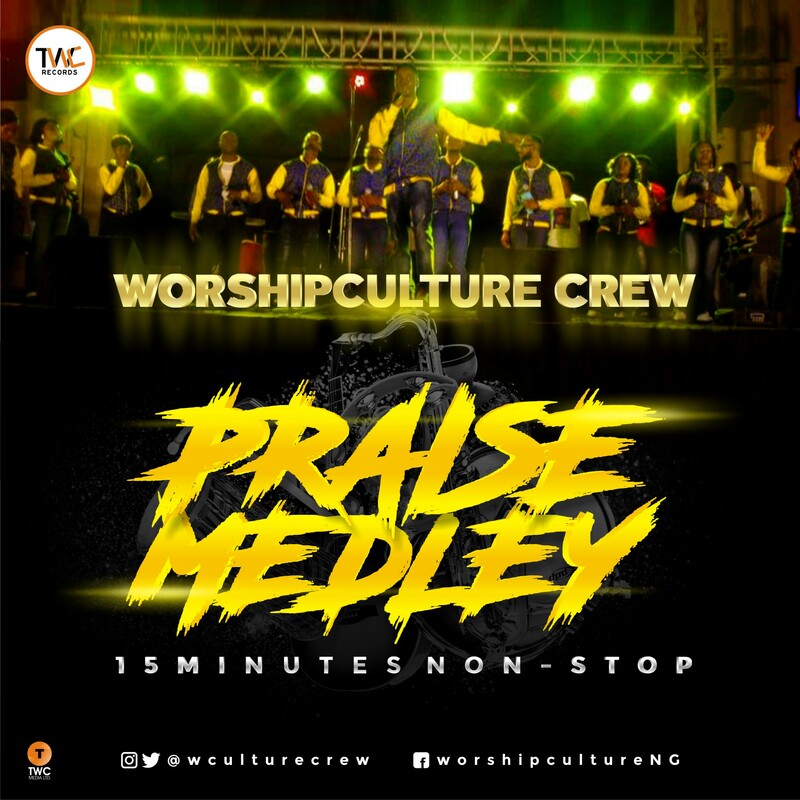 Worshipculture Crew, is out with a-15 minute non-stop PRAISE MEDLEY, that has a carefully blended popular song on a groovy and fast tempo beat to lift your spirit in praise of the Almighty God. The song was recorded live by TWC Music team led by Roland, Joshua Israel, Tkeys and Sly Etuk and was mixed and mastered at SOUND&BEATS studio by Dnath. Worshipculture Crew is a team of music ministers managed by TWC Media and also the host of a yearly worship gathering tagged ATMOSPHERE OF WORSHIP. They have to their credit, awesome songs released on their Debut EP, TESTIMONY, released in November 2016 with great songs like, We Offer, What The Lord Has Done, Abasi Amanam, Jesus and Fill Me Anew. The group is led by singer and Kingdom entertainment entrepreneur, Sly Etuk with Gospel Artiste, Joshua Israel as the Music Director.